Vikings were like many other ancient civilizations very fondof board games. 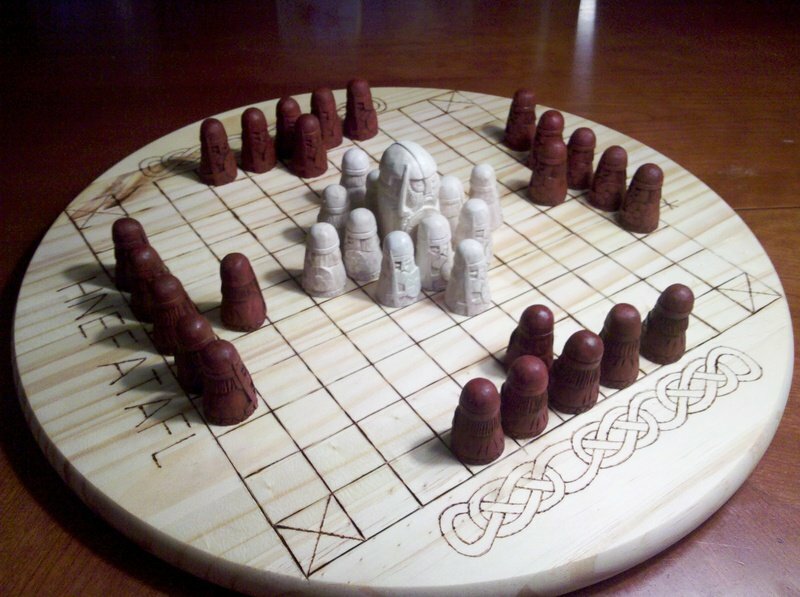 One of the most popular Viking board games was Hnefatafl or tafl that game was as early as 400 A.D. Archaeologists excavating in Scotland have discovered several ancient Viking graves in which a board game was place deliberately. According to scholars a board game was meant to provide deceased Viking warriors with entertainment in the afterlife. 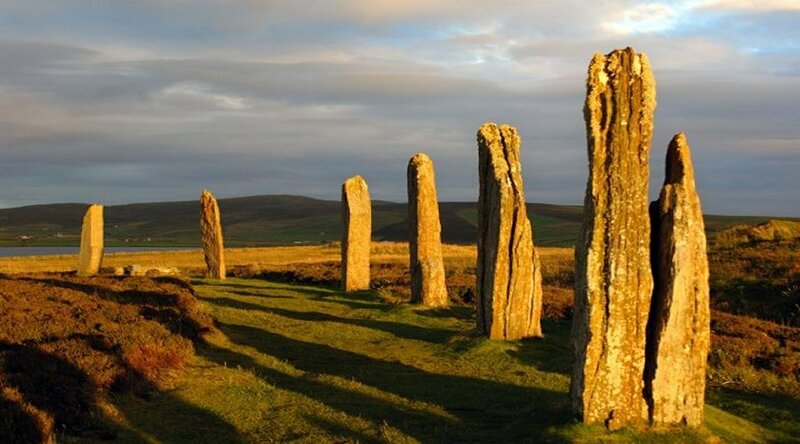 Orkney Islands – Ring of Brodgar Scottish Highlands. As many as 36 known board game burials have so far been discovered on the Orkney Islands which were under Norwegian rule until the 15th century, acting as a foothold for Viking raids on mainland Britain. 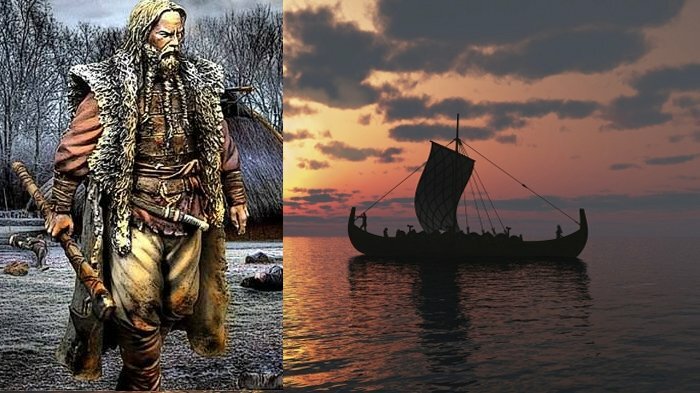 The islands remain littered with archaeological evidence of the feared Norse warriors, including at least two burial sites where board games were found to have been buried alongside bodies. Mark Hall of Perth Museum has published new research on “Viking board game burials” across Northern Europe. He explains that the strategy and skill of board games was closely linked to the deceased’s warrior status, hence their use in the burial ritual. “Placing the gaming kit in the grave served to remember or commemorate that status and skill and to make it available for the deceased in the afterlife. The games also acted as “provisions” for the challenge of the journey into the afterlife. Just as in life, where success on the gaming board – which needed strategic thinking as well as fighting ability – could be seen to confirm and add to the status of an accomplished warrior, in death the inclusion of a board game signaled ability and success as a warrior and by implication preparedness for the challenge ahead,” Hall explained. Many ancient civilizations believed that life carried on after death. People believed they would continue to do the things they had done in this life in the afterlife. Tombs were equipped with the objects that people would need in the afterlife – weapons, ritual vessels, personal ornaments and in the case of the Vikings – a valuable and appreciated object that prevented boredom was a board game. Previous Article← Scientists Uncover A Shocking Discovery Underneath The Easter Island Heads! Unbelievable!